Although dust from the Sahara Desert in Africa—totaling a staggering 2 to 9 trillion pounds worldwide—has been almost a biblical plague on Texas and much of the Southern United States in recent weeks, it also appears to be a severe storm killer. Bowen Pan, Tim Logan, and Renyi Zhang in the Texas A&M University’s department of atmospheric sciences analyzed recent NASA satellite images and computer models and say the Saharan dust contains sand and other mineral particles that air currents sweep up and push over the Atlantic Ocean to the Gulf of Mexico and other nearby regions. As the dust-laden air moves, it creates a temperature inversion that in turn tends to prevent cloud—and eventually—storm formation. That means fewer storms and even hurricanes are less likely to strike when the dust is present. 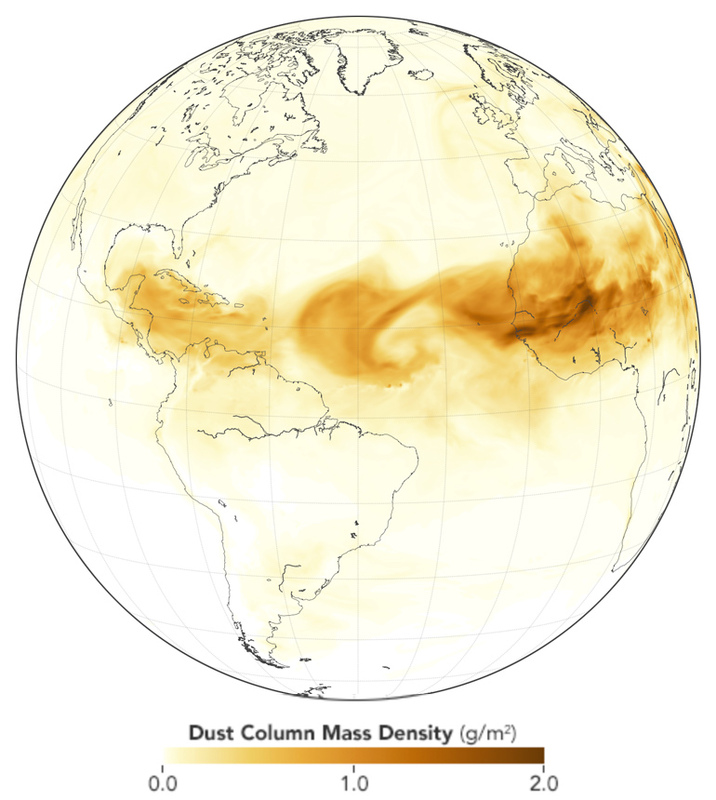 The study, published in the Journal of Climate, goes on to show that dust and storm formation don’t mix. “Our results show significant impacts of dust on the radiative budget, hydrological cycle, and large-scale environments relevant to tropical cyclone activity over the Atlantic,” says Zhang. Logan says that recent satellite images clearly show the Saharan dust moving into much of the Gulf of Mexico and southern Texas.